Despite a stroke at birth resulting in limited use of her right side, Joyce lived a happy and purposeful life. She was a lifelong resident of the area having attended school in Sulphur Springs. 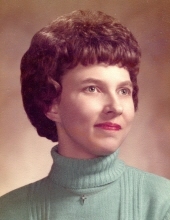 Through the years, she assisted her dad in his bicycle shop, worked hard maintaining the yard at the family home, and babysat many of her nieces and nephews who brought much joy to her life. She showed her love for them by attending their sporting events, taking them on walks for sweet treats at nearby shops, attending the fair and eating at Lykens food stand with them, and helping her mom collect pictures and newspaper clippings to make scrapbooks for each of them. In earlier years, she could be spotted around town with her mother at garage sales throughout the summers. Joyce also enjoyed traveling with family and friends to Lake Erie, Amish Country, and especially her trip to Washington DC. Upon the death of her mother, Joyce maintained the family home for many years. While there, she loved visiting with friends and family over a cup of coffee. Joyce didn’t let limited mobility stop her from catching up with loved ones she didn’t see frequently as her chair was always close to a telephone. This allowed her to keep daily (sometimes hourly) tabs on them. She especially enjoyed a close relationship with her sister, Joan, sharing countless visits and phone calls over the years. Joyce was the self-appointed North Sandusky Ave. watch person! When she was no longer able to live on her own in the family home, she transferred her watch to the halls of Orchard Park of Bucyrus where she resided the last six years. Under the pastorate of Reuben Leuthold, Joyce received Jesus as her personal Savior. She was a long-time member of Wayside Chapel where she helped clean the church and sent birthday and anniversary cards to members of the congregation. Later, she attended the Bucyrus Nazarene Church and as her health declined, she attended church services at Orchard Park. Services will take place at Wise Funeral Service on Thursday, February 7 with calling hours from 11 am to 12:50 pm and the funeral beginning at 1:00 with Pastors Matt Smith and Earl Smith officiating. Interment will follow in Oakwood Cemetery. Memorial contributions may be made to Wayside Christian School or Gideons International. Memories and photos can be shared on Joyce’s Tribute Wall. To send flowers or a remembrance gift to the family of Joyce Ann Stuckman, please visit our Tribute Store. "Email Address" would like to share the life celebration of Joyce Ann Stuckman. Click on the "link" to go to share a favorite memory or leave a condolence message for the family.